FDA OKs Pacemaker That's Safe In MRI Scanners : Shots - Health News Medtronic makes the gizmo, called the Revo MRI SureScan Pacing System. In a clinical test that included nearly 500 patients, none had any MRI-related complications. The Medtronic Revo pacemaker is OK for MRI scanners. As someone who has spent a lot of time around MRI scanners, there are a few things I know don't mix with their powerful magnets. Leave your bank and credit cards at the door, unless you're keen on bulk erasing the magnetic strips. And anything metal — especially any kind of metal that's attracted to magnets — should be kept far away from the electromagnetic fields the scanners use to make those cool images of your insides. Now that last bit is pretty hard to do if you're packing a pacemaker, as about 5 million people around the world are these days. About half those people would otherwise be candidates for an MRI exam at some point in their lives. But an MRI scanner can scramble a standard-issue pacemaker pretty badly. Take heart. The Food and Drug Administration just approved the first pacemaker in the U.S. that's good to go inside an MRI machine. 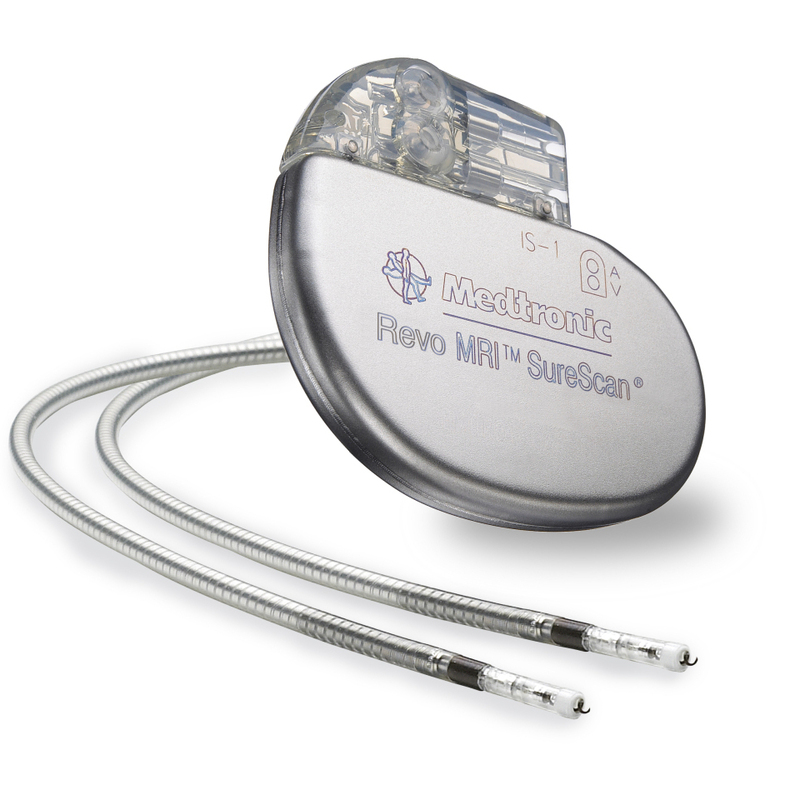 Medtronic makes the gizmo, called the Revo MRI SureScan Pacing System. In a clinical test that included nearly 500 patients, none of had any MRI-related complications. Though it must be said there were four mild MRI-related reactions including some tingly numbness and palpitations. A spokeswoman for Medtronic said in an e-mail response to questions from Shots that the device will cost between $5,000 and $10,000, not including the cost of the surgery to implant it. That's on par with the cost of other pacemakers, she wrote.